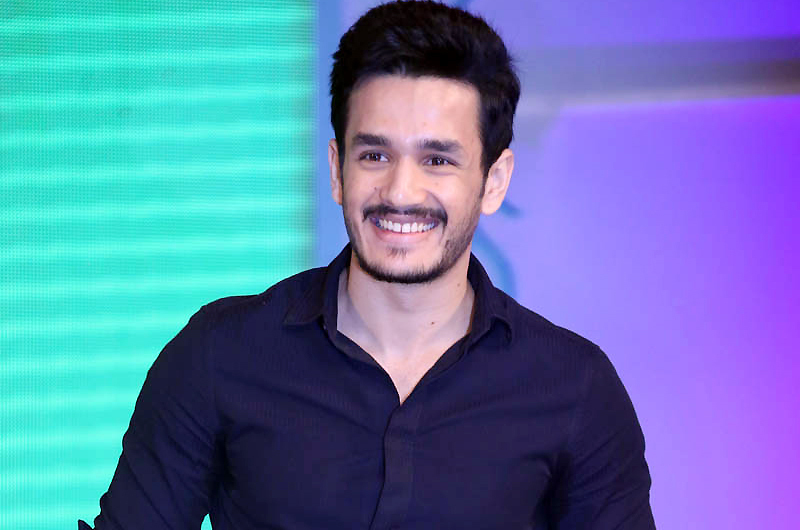 Akkineni Nagarjuna’s younger son Akhil Akkineni is the most awaited youngster in Tollywood. He made his debut with movie titled Akhil which released all over between huge expectations during Diwali. This big ticket movie has been directed by VV Vinayak who is a specialist in mass films. The movie has been made on a budget of Rs 50 crores and the movie bombed badly at the box-office. Sayesha Saigal made her debut as an actress and Anup Rubens, SS Thaman composed the music. Akhil ended as the biggest debacles in the recent times which left Akkineni family in shock. The buyers have lost huge money for the movie and Akhil Akkineni has been left in confusion about his second movie. He impressed hugely with his performance, dance moves and screen presence through Akhil which is the only good thing for the movie. Young actor Nithin produced the movie on Sresht Movies banner. Nagarjuna is taking special care on Akhil’s second movie which may start next year. Nag will not finalize the director without proper script revealed the sources. Akhil is currently listening to scripts and the latest we hear is that he has given his nod for his public event. IIFA is one of the biggest events in South Indian Film Industry and the celebrities from all the languages (Telugu, Tamil, Kannada and Malayalam) will make up to the event. Hence Akhil has decided to make his presence and he will perform live on screen with his dances. As per the latest update, the event which has been planned to take place on December 4th-6th has been postponed because of Chennai rains and floods. The event may take place sometime during January next year. Akhil is currently practicing for his appearance. Mega Powerstar Ramcharan too is making his first performance through IFFA. Coincidentally, Ramcharan’s recent movie Bruce Lee too bombed badly at the box-office. He is currently busy with his next movie which is the remake of Tamil blockbuster Thani Oruvan which is a smashing hit. Surendar Reddy will direct the movie and Sruthi Haasan will play the female lead. More details about IIFA to be revealed soon.